Written by the author of the best-selling E & M text, this text is designed to teach students how to DO quantum mechanics. Part I covers the basic theory; Part II develops approximation schemes and real-world applications. *offers an unusually readable, consistent, and honest discussion of fundamental ideas. *some books allow students to assume that there are no conceptual problems with quantum mechanics, or conceal the interpretative difficulties with abstract language and dogmatic assertions. 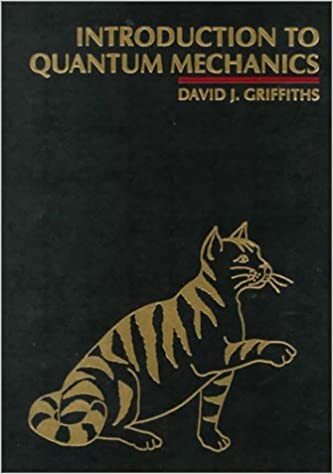 Griffiths acknowledges, from the beginning, both the difficulty in understanding quantum mechanics, and the controversy surrounding some of the fundamental ideas. *avoids a now-unnecessary historical discussion. Starts immediately with quantum mechanics - the Schrodinger equation, and its statistical interpretation, is introduced on the second page. *explores several exceptionally up-to-date topics - e.g., adiabatic processes (and a treatment of Berrys phase); Bells theorem; the quantum Zeno paradox; and, where appropriate, cites recent papers in the accessible literature. *contains 315 graded problems offering a wide range of difficulty. **essential, "confidence builders"; ***more difficult and less crucial; ****most difficult - an hour or more; *no stars: good exercise but not essential or difficult.